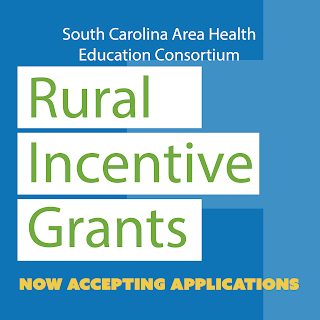 South Carolina AHEC is pleased to announce that applications are currently being accepted from primary care physicians (Family Medicine, Pediatrics, Internal Medicine and Ob/Gyn) and advanced practice professionals (Nurse Midwives, Nurse Practitioners and Physician Assistants) who contract for a period of four years to practice in rural or underserved areas of South Carolina. The program also provides funding to general surgeons and psychiatrists who contract for a period of four years to practice in rural or underserved areas of the state. Awards for physicians will vary with the minimum award being $60,000 and the maximum award being $100,000 depending upon the type of practice setting and the population of the county. Awards for advanced practice professionals will vary with the minimum award being $30,000 and the maximum award being $50,000 depending upon the type of practice setting and the population of the county. Provide $25,000 per year for up to four years for qualified physicians practicing in counties with a population of less than 50,000. Provide $15,000 per year for up to four years for qualified physicians in counties with a population over 50,000 who work in rural areas (non-urbanized) as defined by the U.S. Census Bureau’s 2010 Census or who work in federally qualified health centers in urban areas. Provide $7,500 per year for up to four years for Advanced Practice Registered Nurses (APRN) and Physician Assistants (PA) in counties with a population over 50,000 who work in rural areas (non-urbanized) as defined by the U.S. Census Bureau’s 2010 Census or who work in federally qualified health centers in urban areas. Applications for incentive grants will be accepted until March 15, 2019. A new recruitment incentive grant is also available to residents graduating from a South Carolina Family Medicine Residency Program and going into practice in one of the state’s whole county Geographic Health Professional Shortage Areas. Due to a limited number of slots, these incentive grants are available on a first-come, first-served basis. For more information about both components of the program, please visit the South Carolina AHEC Recruitment and Retention webpage. 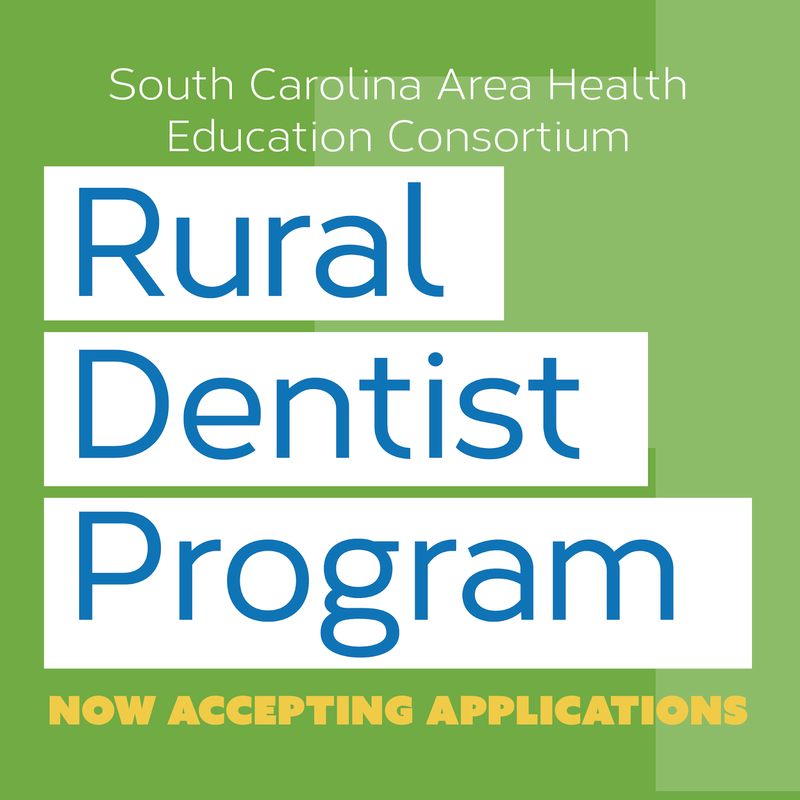 South Carolina AHEC is pleased to announce that it is currently accepting applications for the South Carolina Rural Dentist Program. The South Carolina Rural Dentist Program was implemented in July 2005 to assist dentists who serve in South Carolina’s Health Professional Shortage Areas (HPSAs) or serve as full-time faculty at the MUSC College of Dental Medicine in repaying educational loans. The expectation is that during their commitment period these dentists will establish viable community practices or academic careers at the College of Dental Medicine, become involved in their respective communities and remain after the funding period is complete. Priority for this program is given to those demonstrating need and expressing intent to remain in an underserved area or in an area of critical need at the MUSC College of Dental Medicine. To date, 55 rural dentists and 19 faculty members at the MUSC College of Dental Medicine have been funded. 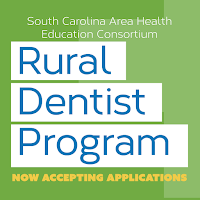 For more information on the South Carolina Rural Dentist Program, please visit the South Carolina AHEC Recruitment and Retention webpage. The deadline for applications is February 15, 2019.